Cheese is truly one thing I could never, ever give up. I’ll drink to that – Cheers, pardon me, Cheese! Great story. Kudos to your mama. Loooovelovelove cheese!! My neighbors and best friends used to call the powdered Parm “stinky cheese” too haha! I would have been just as traumatized as you if my mom had put swiss cheese on anything of mine! I am amazed at how many people doubt the trauma of the Swiss cheese. Ah, if only I could eat cheese. Reading about it is next best. Yes, I am pretty sure that Ambrosia, in Ancient Greek, meant “assortment of cheeses”, rather than nasty salad made of canned fruit, coconut, and sour cream. 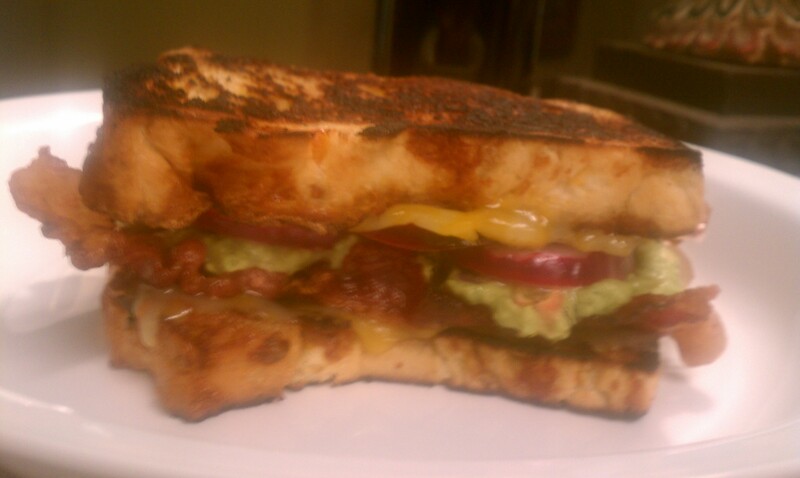 Oh, and Bacon, how I love thee…. American cheese is the best for a grilled cheese sandwich. 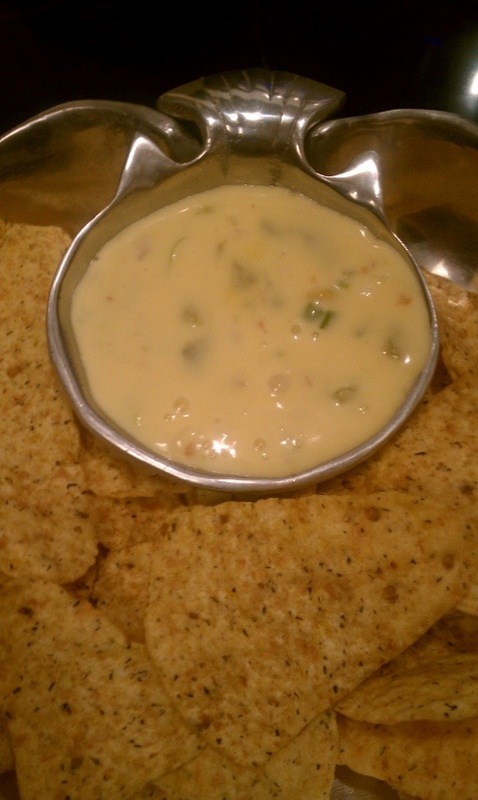 I experimented with my own cheese dip for the superbowl: http://notjustasahm.wordpress.com/2013/02/09/gruyere-guinness-dip/. It was really good. 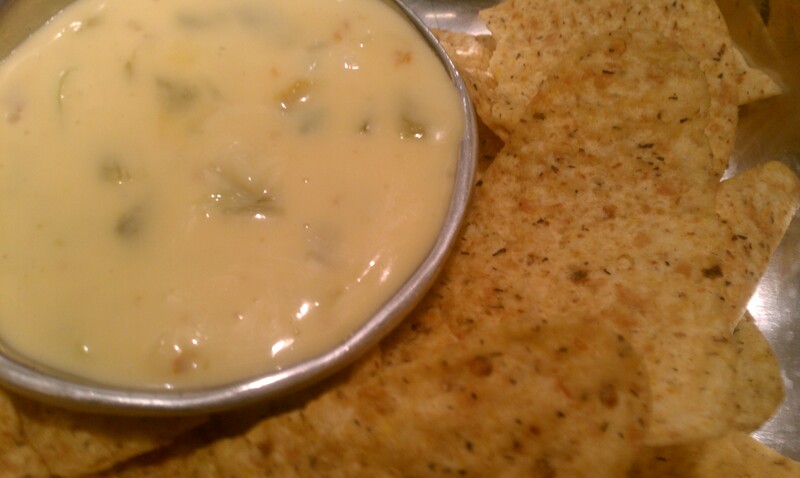 I’ll have to try the green chili queso, looks delicious! I love all three of these recipes! I want that toasted sarnie! Hells yes! I wouldn’t eff with it!! This post made me so happy. That sandwich looks incredible!!!!! I appreciate the recipes, Christine, but love your storytelling! Thanks! I try to offer a little something for everyone…come for the food, stay for the stories…or the other way around! I’ve nominated you for The Sunshine Award. I love,love,love cheese. All varieties of it. It makes everything taste better. Especially good with wines, any kind of wine. I just wish cheese loved me back. Finally had to give it up. Ice cream hates me too. Why is it the things we love so much, hate us? It’s just not fair. I’ll live vicariously through your recipies. They look soooo yummy. Have you tried the lactose free ones? Or tried Lactaid? I couldn’t survive without cheese…. Swiss cheese…yum! Smells like 4-day-old gym socks kicked under a bed in a frat house. Christine, can you see my hand raised aaaalll the way from Oregon??? I love cheese!! 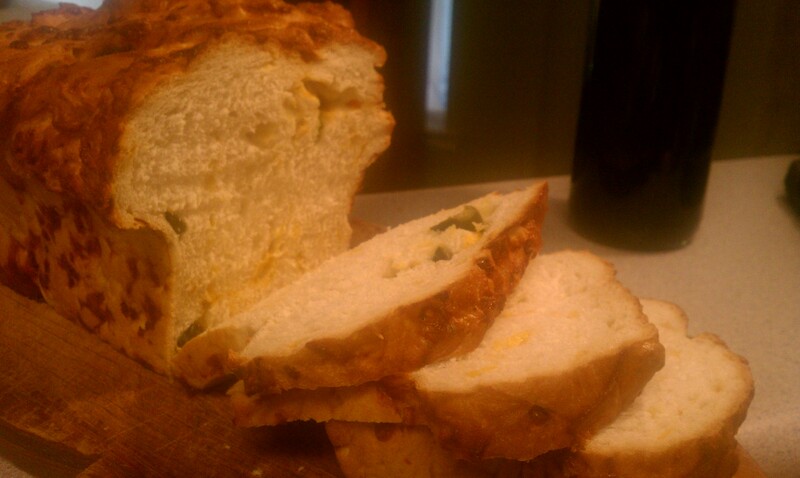 My man loves jalapenos in everything and has a bread maker. (I honestly haven’t ever used the bread maker myself). I’d prefer to follow the recipe here but I’m sure he’d try to do it the easy way. How simple would it be to convert this recipe for that? Holy crap! That sandwich made me slobber. Seriously. Just pinned it to try later. Still slobbering. Thank you for loving me! Thank you as well, that I am your firend! Those cheesy recipes really sound lovely. There can never be enough cheese in the house and well, a day without cheese would be a lost day. 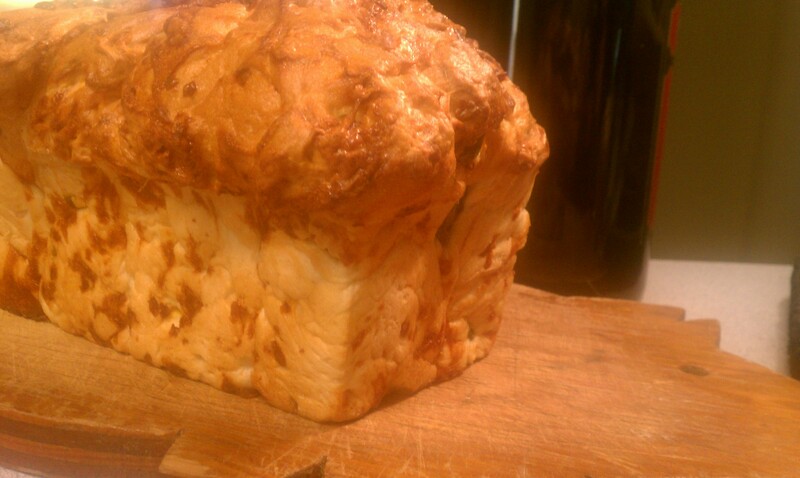 That cheese bread looked sooooo good! And then I saw it used to make a sandwich, and my mind was blown! 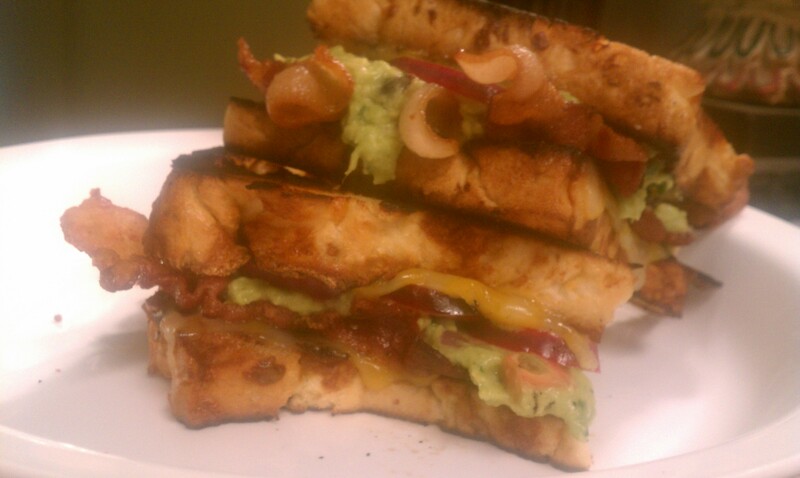 Great recipes, I’m sure the jalapeno adds a nice bit of spice (: Thanks for sharing! That is definitely some artery clogging cheesiness! I actually loved swiss cheese as a kid. I am told that what y’all call American Cheddar is much like our Velveeta….